I read this book while at Ffald-y-Brenin. Here are some of the ideas–chapter by chapter. 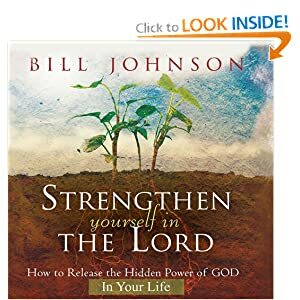 Bill Johnson describes some of the methods he uses to strengthen his inner man – it is not an exhaustive list, just what he himself has found helpful. These are some of the conscious ways in which he choose to respond when warning lights go on in his life. Frequently others will strengthen us, but there are times when we must do it for ourselves in order to mature. What made David so great? David is remembered for his heart. While the Israel, for the most part, interacted with the Lord through the Law and a system of ritual sacrifices, David, as a shepherd, had a direct relationship with the Lord, singing to the Lord, and relying on the Lord in battling lion and bear. He was clearly different – his oldest brother Eliab brothers sensed this saying “I know how conceited you are and how wicked your heart is” . However, after being anointed King, he had to wait 10-13 years, mostly in testing circumstances, before being crowned king. This further testing ensured that when he was king he would not stumble as seriously as Saul, whose public victories exposed his hidden faults. The sin of biting the apple in the garden was preceded by the error of believing a lie. “As a man thinks in his heart so he is” (Pr 23:7) is an oft quoted expression, but it usually refers just to thoughts. In Hebrew, the heart referred to the entirety of the inner man – mind, imagination, will, desires, emotions, memory, conscience, and so Johnson focussed on more than just the mind and intellect here. Live aware of where you are going, not where you are. Live aware of the unseen reality that God is both good and sovereign. The frontlines of the fight is the safest place — we receive an umbrella of grace — rather than taking up a defensive position, like the servant who buried his coin. Almost every Christian book, regardless of perspective, book has a chapter on the importance of thanksgiving. Why? 1. “Rejoice always, pray without ceasing, give thanks in all circumstances; for this is the will of God in Christ Jesus for you.”( 1 Thess 5:16-18) Being thankful is the will of God. But to be truly thankful, one must appreciate what one has – frequently Christians are not thankful for spiritual gifts, and even the mere fact of life. 3. Not giving thanks and praise leads to futility and spiritual darkness. “ … they neither glorified Him, nor gave Him thanks, but became futile in their thoughts and their foolish minds were darkened.” On the other hand, thanksgiving keeps us sane (seeing reality the way it is) and alive (in contact with our source of life). “Physical obedience brings spiritual breakthrough”. Our identity as believers is first as worshipers–ministering to the Lord. Worship with the whole self, including the body, dancing, clapping, and making a joyful noise as in the Old Testament, and in celebrations the world over. Bill Johnson closes the chapter with “I challenge you to take the time each day to look past the problems and needs around you long enough to give God an extravagant expression of praise and rejoicing”. 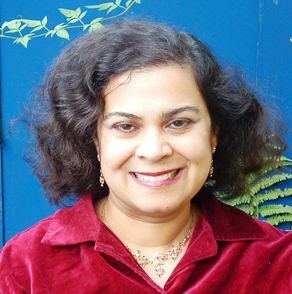 Bypassing the intellect, allows us to pray when we lack understanding for how to pray. In general, meditate on the promises from the position of “Let it be to me according to your Word” when it is not clear how His word will be fulfilled. In particular, re-read portions of Scripture that have been quickened in your heart. He says “If I feel heavy or discouraged, I’ll read these passages until I sense the reality of that dwelling place and can feel the promise burning in my heart again”. Similarly, when mentally or spiritually bombarded, read Psalms, until you find “your heart cry in a Psalm”. Then read that over and over and make it your prayer. Life comes not from every word that has already been spoken, but from “every word that proceeds from the mouth of God”. (Note present tense.) The Holy Spirit brings Scripture to life. Don’t just gather information from Scripture–expect Scripture to speak to your spirit. When you receive a personal word, record it. However, the men of Ephraim, forgetting, lost their nerve in battle, and did not obey God’s law. If we lack awareness of God’s action in our world, we lose faith and courage, and our plans will fall short of what He intends for us. Conclusion: record and repeat testimonies of God’s deeds in our life and in lives we know. (BJ has a special journal solely to record miracles.) Journaling is recommended by many Christian authors, but Johnson equates it with the OT command of repeating the Lord’s deeds. Strength comes from covenant friendships. Covenant allows the spiritual reality that governs your life to flow in the other’s and vice versa. It is vital to develop friendships with people whose lives show the fruit of the Kingdom. If this seems like a deadly serious book, that is because it is. However Johnson sneaks in a paragraph saying that he takes himself too seriously and resists laughter in difficult times, but that the people of faith who support him in hard times have a great sense of humour. Response to being convicted of sin—feel convicted not condemned. Remember that in the fullness of his grace not only forgives our sins, but also empowers us to live like Him. Focus on God’s answers, not you problems. Our personal ambition is to be transformed into His image.